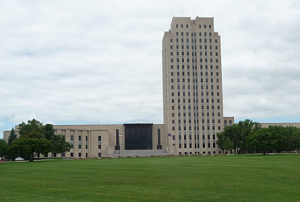 North Dakota’s House is considering a bill that would amend the state’s Depression-era anti-corporate farming law by allowing second cousins in the mix of ownership. The law dates to 1932, when it was put on the ballot as an initiated measure and approved by voters. It allows corporations with as many as 15 shareholders to own farms or ranches, as long as the shareholders are related. Hillsboro Republican Rep. Aaron McWilliams’ bill would add second cousins to the list of kin. The intent of the longstanding ban is to protect the state’s family farming heritage by barring big corporations from owning and operating farms. The North Dakota Farmers Union, the state’s largest farm group, opposes the measure. The group says adding more kin who can legally form a corporation or a limited liability corporation weakens the law. Records of communications between lawmakers and their constituents already are exempt from North Dakota’s open records law. A bipartisan bill is now being considered in the Senate would extend that exemption to include lawmakers’ communications with public employees. Jack McDonald, a Bismarck attorney who represents media outlets on issues regarding the state’s open records and meetings laws, disagrees and spoke Friday in opposition of the bill, which could get a vote in the full Senate this week. The attorney general’s office oversees compliance with the state’s so-called sunshine laws. A spokeswoman says the agency won’t comment on pending legislation. A bill that would have the state change its higher education governance structure from one board to two is facing an uphill battle. The House Education Committee gave the measure a “do not pass” recommendation as it heads to the full chamber for consideration. But the measure likely will see some last-minute amendments before it gets there. Gov. Doug Burgum supports the two-board proposal. But it’s a shift from a three-board panel that a task force formed by the governor had recommended. The two-board plan has a single board for North Dakota State University and the University of North Dakota. The remaining nine institutions would be governed by another board. Any changes would require voters to approve a constitutional amendment.